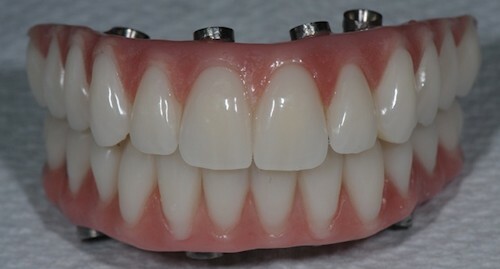 Advances in technology and implant technique allow us in most cases to fit full arch implant bridgework on 4-6 implants, within 48-72 hours of extracting the teeth and placing the implants and usually without the need for grafting. 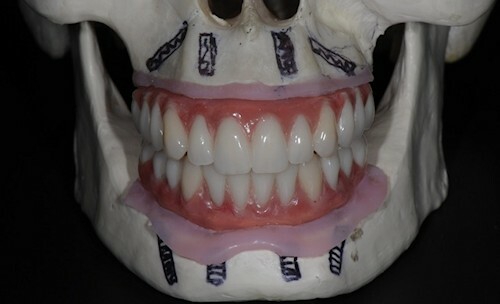 Rather than endure multiple surgical proceedures, wait 3-6 months (or even longer) until the implants fully integrate with the jaw-bone, in most cases you can now have immediate aesthetics and function with a fixed implant bridge without the need for an interim denture or a long healing phase. 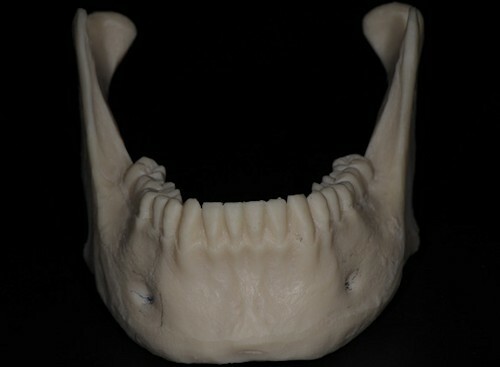 The immediate bridge is constructed from a high strength metal reinforcing frame and uses high impact acrylic teeth. Pink acrylic replaces the lost gum tissue. 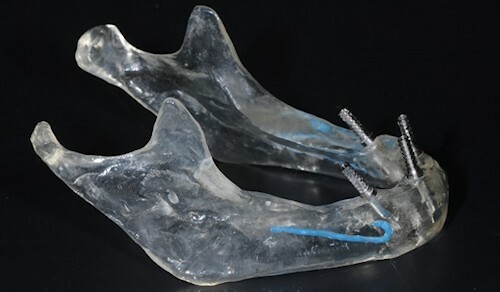 The process involves removal of remaining teeth in conjunction with an alveolectomy (surface shave of the bone) to eliminate infected or thin bone, allowing the implants to be placed immediately into thicker bone and hiding the interface between the implant bridge and the healed ridge under the lip. 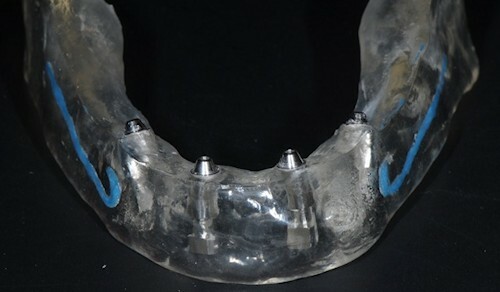 This allows optimization of aesthetics, provides for easier cleaning under the bridge and an increase in the restorative space for bridge construction. This improves strength. Best of all the cost is a lot less than the traditional delayed approach. “All on 4” is not for everyone. You may be wondering if you are suitable for this procedure or seen an advertisement or even attended a seminar. To help make an impartial informed decision about your dental future, get a second opinion from a registered specialist such as Dr Dillon. Call us on 03 9824 0585 to make an appointment.